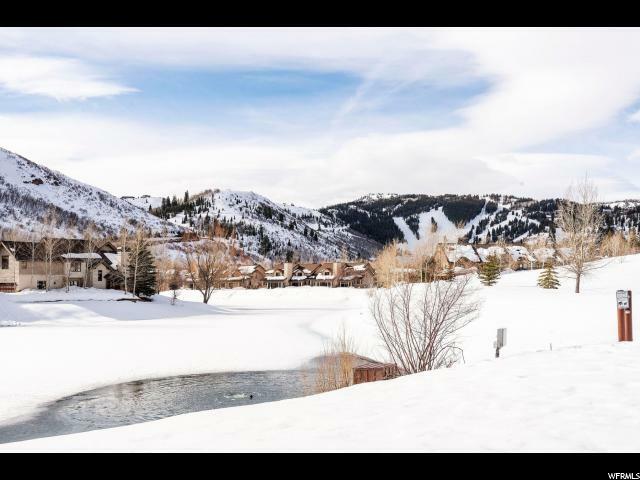 All DEER LAKE VILLAGE homes currently listed for sale in Park City as of 04/18/2019 are shown below. You can change the search criteria at any time by pressing the 'Change Search' button below. "The peaceful, warm, inviting townhome that lives like a home. On the front row of Deer Lake Village Pond owners or renters alike will love the views across the lake toward the Deer Valley Ski Area in a quiet location. Enjoy the large south facing windows with a private patio and hot tub. Everyone loves Deer Lake Village as they live like a small home with a large living room, dining area and spacious kitchen and four bedrooms with private bathrooms. Within close proximity to Historic Main Street, Deer Valley, and Park City skiing, mountain trails and the Snow Park Lodge, this is an ideal mountain retreat with a second home or primary residence potential. The shuttle also stops right outside if you prefer a ride to the ski mountain."